Another amazing and wonderful collection for the web designers and web developers is presented here. In this collection we are showcasing 45+ Google Chrome Extension for the web designers and developers. As we all know that Google Chrome is not only an old browser but it is also a very popular and famous browser. Google Chrome is an open source browser that’s why you can easily modify it when where you want. Google Chrome also provides to their users a huge list of powerful and free extensions. So, here is the complete list of Google Chrome extensions for your use. We hope that this collection proves to be the best and will help you. Check out these Google Chrome extensions and download your best pick. Do let us know what do you think about this collection. Feel free to share your opinions and comments with us via comment section below. Creates a color palette from any image. Just right-click on the image and select the ‘Palette for Chrome’ option. Web developer color picker / eye dropper. Pick color from current web page or change color(s) of any element in DOM. Bookmark, Archive, Screenshot & Markup – All-In-One Web Collector, must-have research tool. Extended web developer tools for Chrome. Use this extension in addition to the built-in Developer Tools (Ctrl+Shift+I). CSSViewer is a simple CSS property viewer for Google chrome originally made by Nicolas Huon as a FireFox addon. The Microstock Photo Power Search Tool makes searching multiple libraries for the best microstock stock photos easier than ever. Automatically creates a note when you select a text and bookmarks it. Search on Google and export to a Google document your notes. Quickly launch Apps from browser toolbar. Organize Apps and Extensions into Groups. Manage Apps and Extensions with ease. Ananke Timer is a simple task timer extension. Todoist is the leading online to-do list and task manager. We manage millions of to-dos and we are ready to manage yours as well! SEO for Chrome provides SEO Stats and Tools that make your daily SEO tasks easier. The MOST popular Google Chrome SEO Plugin! Resize browser window to emulate various screen resolutions. A fantastically simple on-screen ruler for lining up and measuring type, line height, strokes and just about anything on the web. Tape is a tool for pixel-perfect website development. It lets you put down guides that snap intelligently to the page content (and stick to it if it moves on scroll or resize), and helps you easily measure positions and sizes of elements. A QR code (abbreviated from Quick Response code) is a type of matrix barcode (or two-dimensional code) designed to be read by smartphones. Using QRUrl you can translate any literal URI to a QR code and then use it to share your site in the physical world. The Save my Tabs is an extension that with one click can save all open tabs in your browser. Addicted to numbers? Get the daily statistics of your blog in your chrome browser. 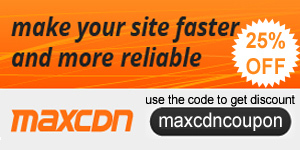 This plugin checks a domains availability straight from your toolbar. Perfect for web designers/developers. Delete everything about a website. Cookies, History, localStorage, sessionStorage…everything! Capture the whole page or any portion, annotate screenshot, blur sensitive info, one-click upload to share. Drag files to text boxes on any site to upload and share. Change the appearance of websites instantly. Preview and install styles created by users for your favorite websites. What an amazing array of gifts! The gift of Flowers, Wines and Chocolates along with its appealing contents will make a lovely choice for any event. Share the bonding of love with dear ones along with the contents of this website. thank you for great resources and all the Chrome Extensions are really helpful for me as i’m a professional web designer at www.logodivine.com. I would like to suggest these extensions to other as well and will be sharing this post on my official social media pages too.